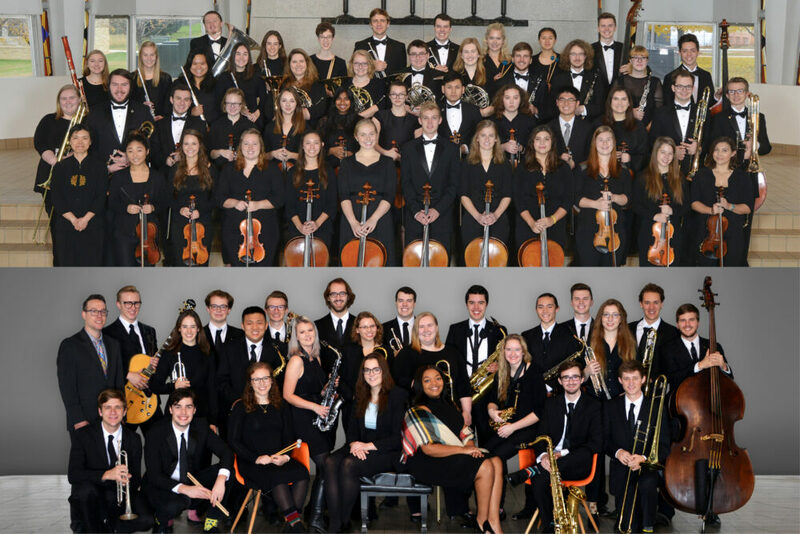 The Gustavus Symphony Orchestra and Jazz Ensemble, conducted by Dr. Ruth Lin and Dr. Dave Stamps, embark February 1 on a Colorado tour, traveling through South Dakota, Nebraska, and Iowa en route to Denver, Fort Collins and Loveland. A complete list of tour stops is listed below. Throughout the tour the ensembles will perform at churches and high schools, with several stops along the way to workshop with local high school musicians. Alumni will also have the chance to dine with the ensembles at alumni receptions in Sioux Falls and Denver. The Gustavus Symphony Orchestra and Gustavus Jazz Ensemble have a rich history of touring and performing together, both domestically and internationally. Each ensemble will perform its own repertoire, but they will also combine to form a studio orchestra, creating a unique musical experience for the audience. Musical selections range from classic jazz and orchestral works to newer pieces by contemporary composers. Previously, the groups have traveled to the British Isles, the People’s Republic of China, South Africa, and Greece and Macedonia. Their next tour is to Singapore and Malaysia in January of 2020. Upon their return, the combined ensembles perform a home concert at 1:30 p.m. on Sunday, February 17 at Bjorling Recital Hall. The concert will also be livestreamed.